This years annual Christmas bonspeil was held at Hamilton ice rink in Scotland on Monday 30th December 2013. 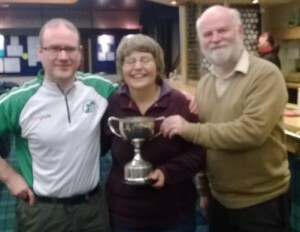 Alan Mitchell, Ian Donald and Frances Whyte. Johnjo Kenny, Matt (American friend of Alan’s), Mary Radcliffe and Gillian Russell. Carolyn Hibberd, Arran Cameron, Clare McCormick and Jim Nixon.